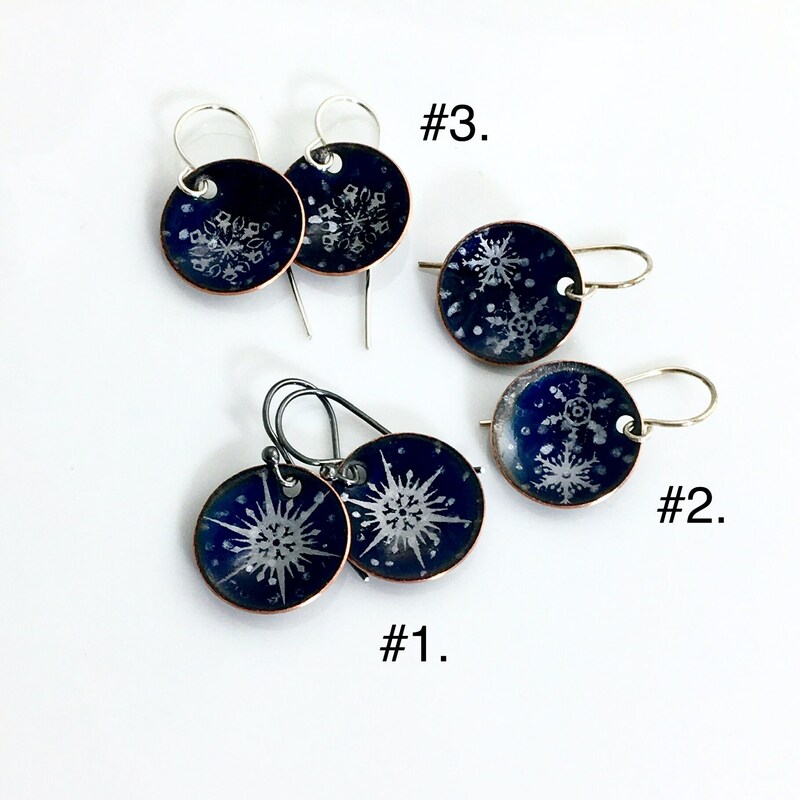 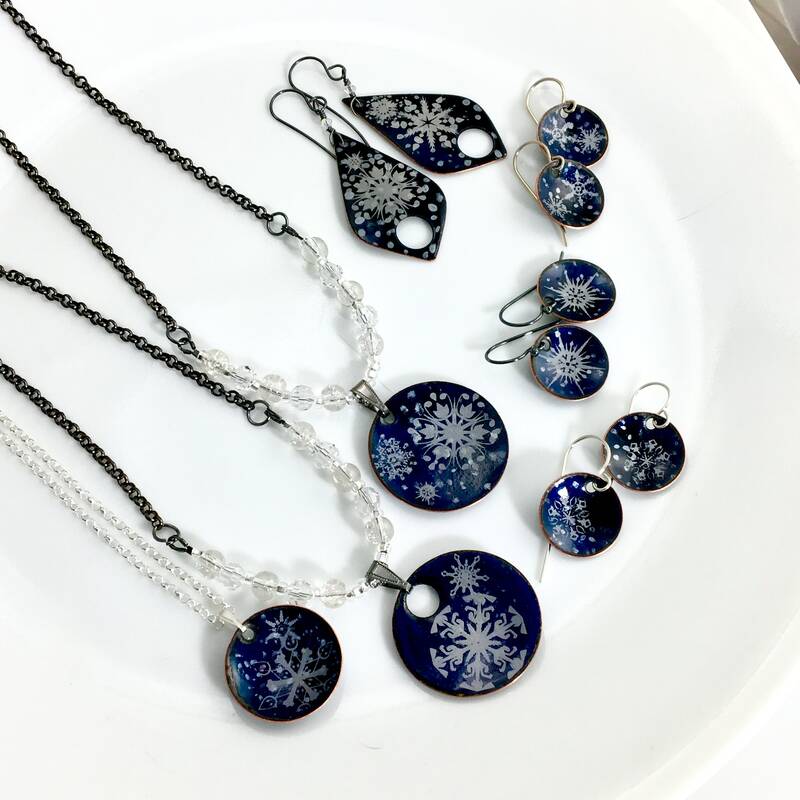 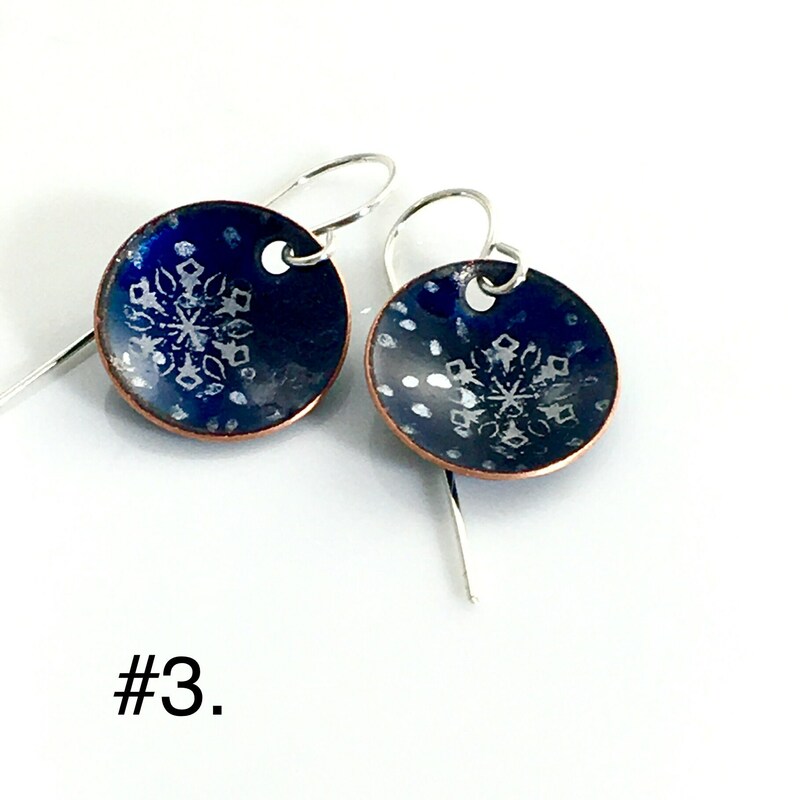 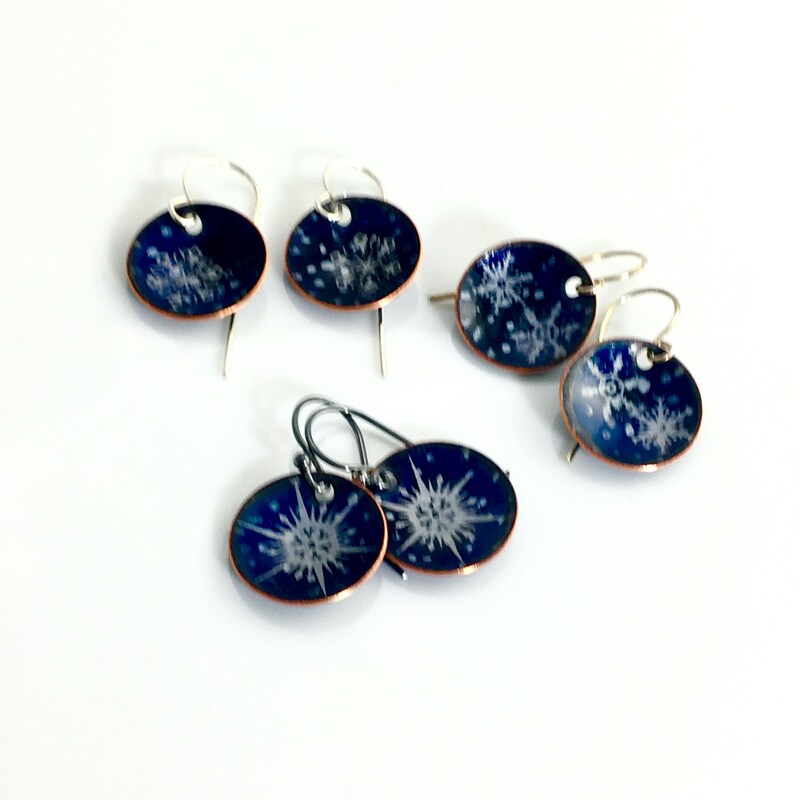 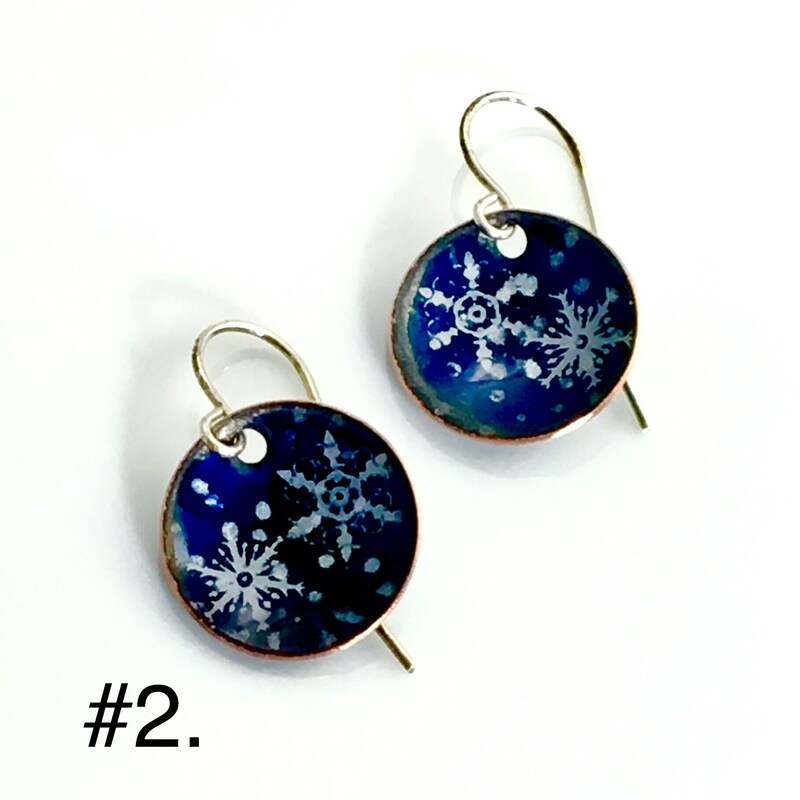 Silver snowflakes on deep blue semi-transparent enameled copper petite circles. 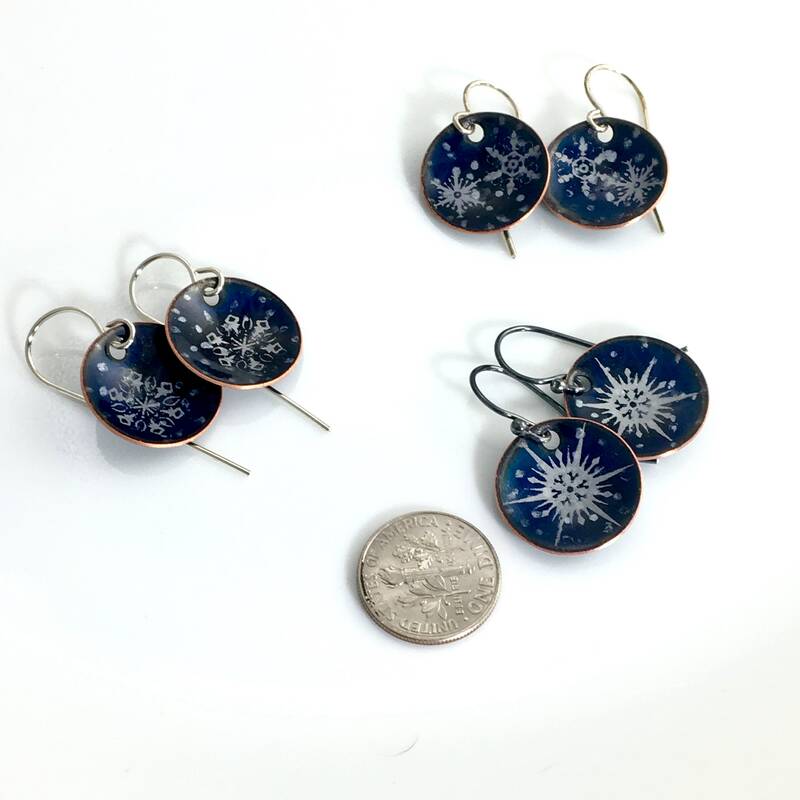 About the size of an American dime (.7 inches; 18 mm) and gently domed. 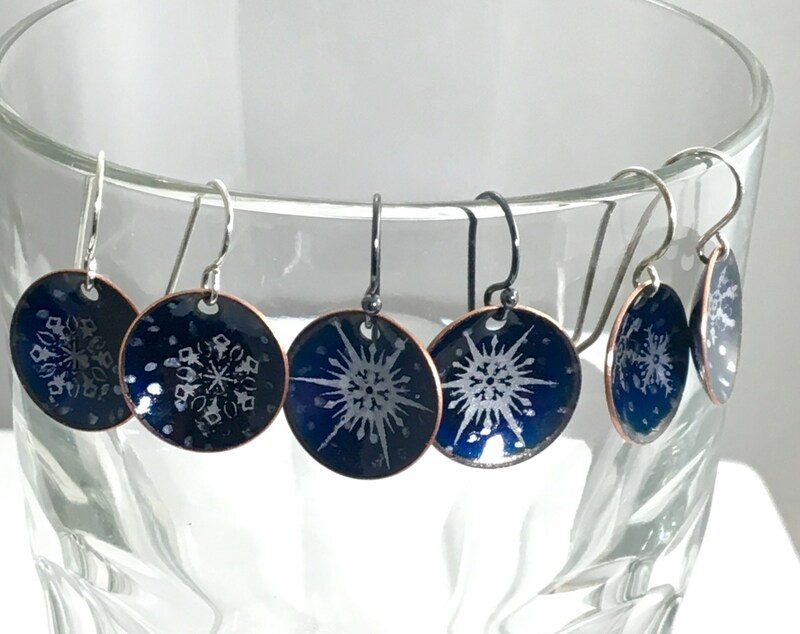 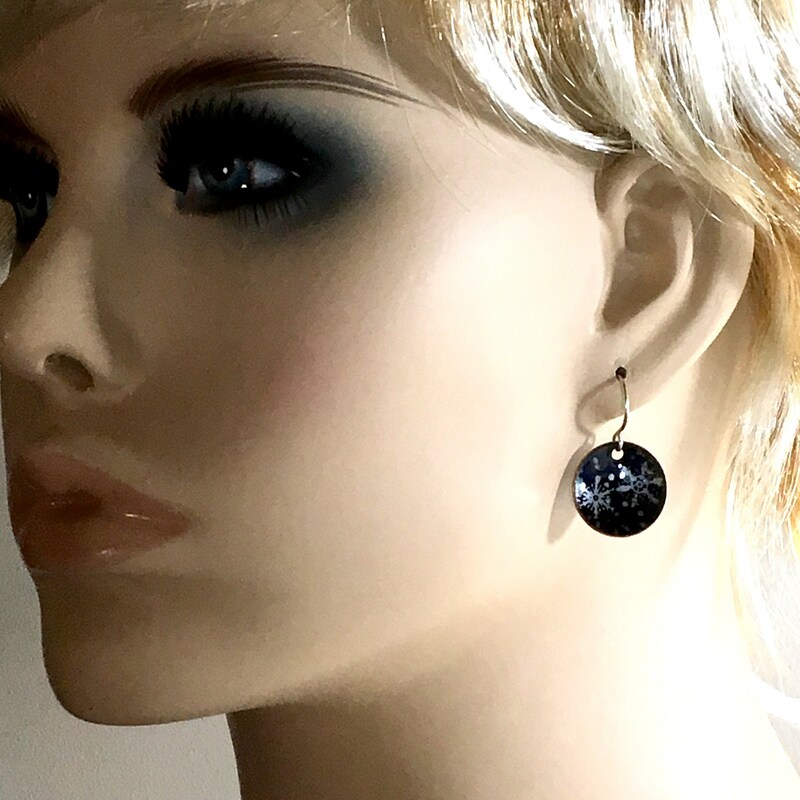 These dangle from your choice of earwire. 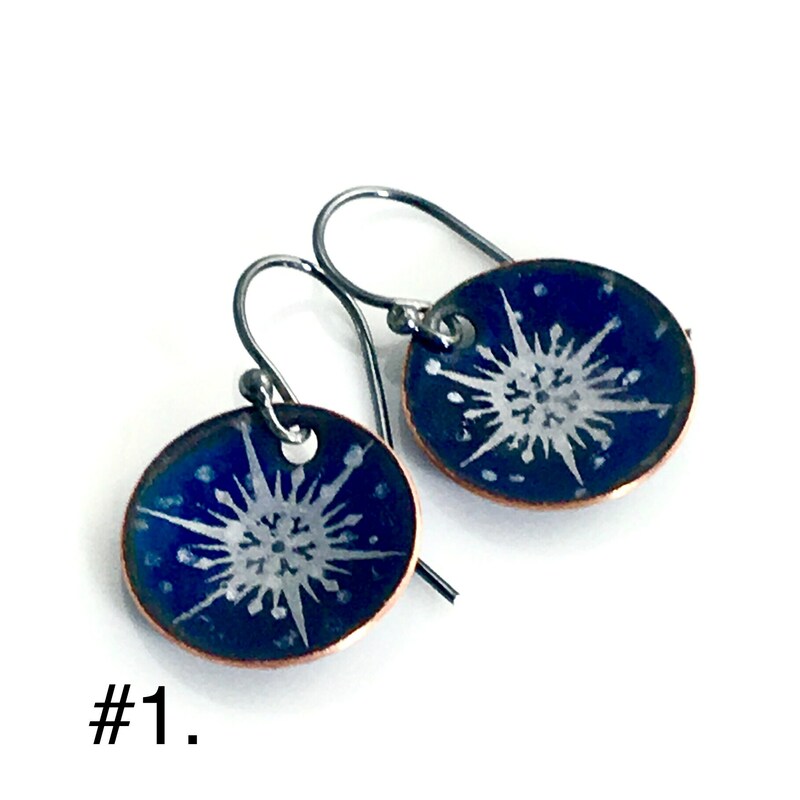 My "Atmosphere Series" began in 2013 when I began to work with hot glass (vitreous) enamels. 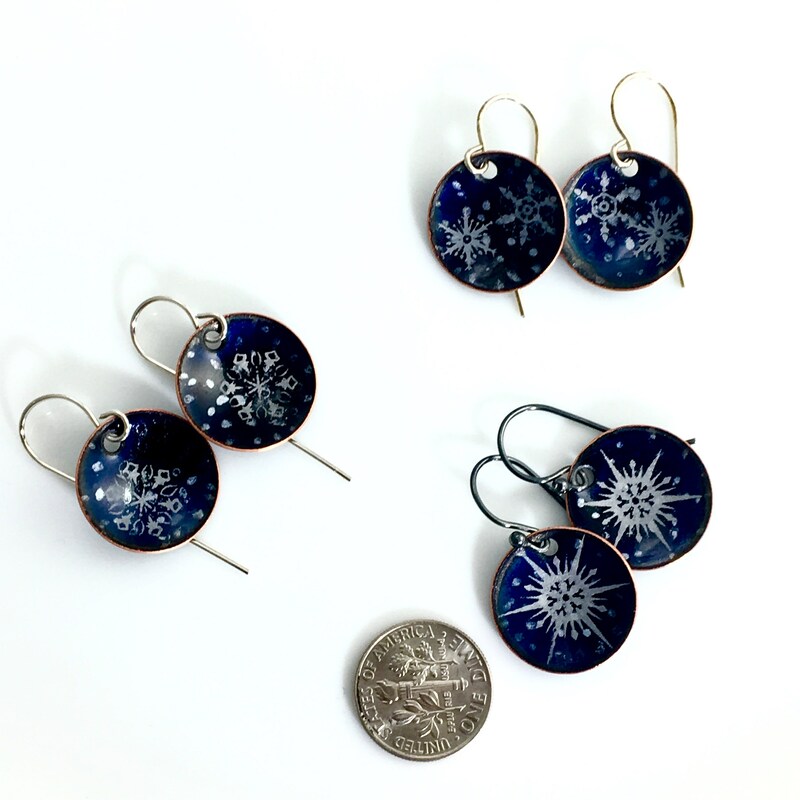 And for the past 5+ years, I’ve explored & been inspired by skies, weather & skyscapes.